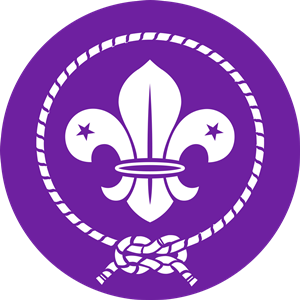 Scouts and Guides are a long-established and popular group within the village. Our Scout group was established in 1911 by Captain Bobbyer, followed shortly after by Guiding and has continued ever since. The objectives of the Scout and Guides group are to provide adventurous and challenging activities for young people in the village and to help them develop their skills and abilities in a rounded way. Over the years the group has been very successful and participated in various camps, cooked 3-course meals, taken part in numerous activities including canoeing, soap box derby and map reading, competed against other sections in night hikes and Ready Steady Cook, and many other adventurous things. Explorer Scouts: for boys and girls between the ages of 14 and 17. Scouts: for boys and girls between the ages of 10 and 14. Cubs: for boys and girls between the ages of 8 and 10. Beaver Scouts: for boys and girls between the ages of 6 and 8. Guides: for girls between the ages of 10 to 16+. Brownie Guides: for girls between the ages 7 and 10. Rainbow Guides: for girls between the ages of 5 to 7. New leader required – Group currently not running. The group welcomes volunteer helpers of all forms and talents so that they can continue to offer varied activities. There are many ways to help and not only will the young people of the village benefit but you will too. If you would like to be involved or discuss how you can help, please contact the leader of the section that you are interested in.